Our current storage sheds are over 30 years old – parts of one in fact date from the opening of the railway in 1959 – and are rather primitive. Although they have served the railway well, they have no power, water or lighting and are very cramped. If we want to undertake even basic maintenance on the trains we have to do it outside with hand tools. There is also no space for larger rolling stock, such as a coach with facilities to carry a wheelchair. Therefore we are looking to replace the current sheds with one single purpose built shed, complete with utilities, a little extra space and some basic welfare facilities for our staff. 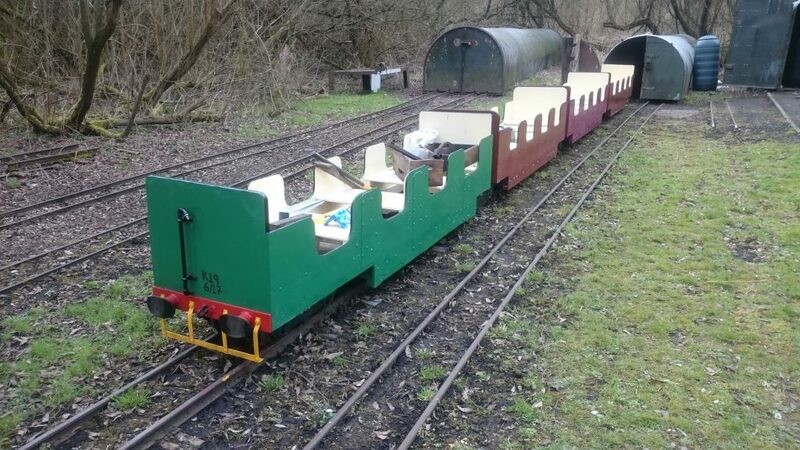 Once we have a new shed, we are able to build new coaches for the railway. Our current coaches were built nearly 50 years ago and have given remarkable service. However they are starting to show their age a little, and are a little small for today’s customers. We therefore intend to build some sets of new wider coaches, which will allow an adult and child to easily sit next to each other. Some of these coaches will have roofs to provide protection from occasional rain showers. There will also be a coach which is able to carry a wheelchair. The future? 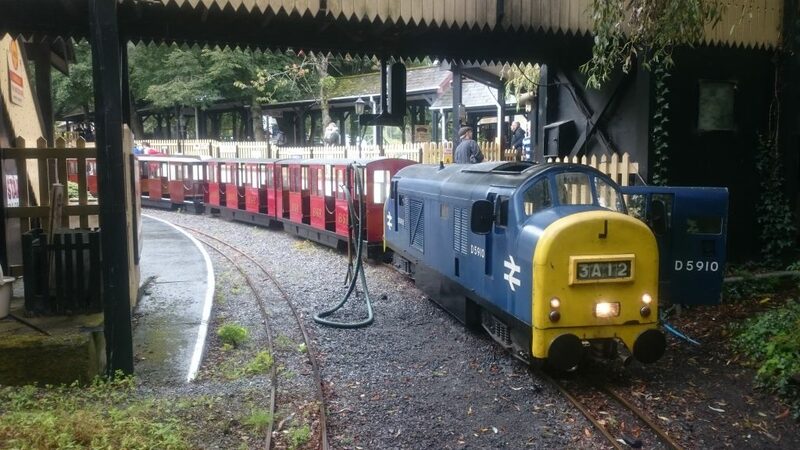 We would like to introduce some covered coaches like these seen on the Bickington Steam Railway in Devon. We have a large station with two platforms but it could do with some improvement. Platform 1 – on the side closest to the playground – is narrow and can become crowded on very busy days as passengers get on and off the train. This winter we plan to widen it. Both platforms are laid in paving slabs; we’re looking at if a new tarmac surface would be more suitable. We have a nice wooded area the railway runs through, but the stinging nettles have run a little wild over the last few years. We’re now working to cut back and clear areas, introduce some new attractive planting, plus add a few lineside features to look at. If you have any suggestions for improvements we could make, get in touch and let us know!